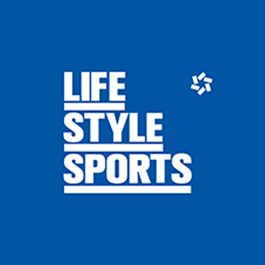 Life Style Sports is looking for an E-Commerce Coordinator. If you meet the requirements below, you will be eligible to apply via Digital Marketing Community. Create and build relationships with third-party logistics team and grow that relationship with a view to driving efficiencies and improving omnichannel customer experience. Collaborate with the e-commerce trading and marketing teams to accurately forecast online order and item volumes and highlight changing trends in order volumes. Support for the customer experience team by monitoring out of stock orders, urgently resolving outstanding inventory issues with logistics teams. Ensure stock consistency across WMS, internal stock system and website. Perform and provide daily, weekly and periodical performance KPI reports for various stakeholders. Consistently review reporting structure and suggest new formats to improve data output. Test and monitor integration between front-end and back-end systems across all digital platforms. Ensure tickets are raised in a timely manner to the correct external IT party when bigger system issues occur. Identify and suggest improvements to business processes with the objectives of improving the service delivered to our customers or increasing the efficiency of service delivered. Bachelor’s degree or third level qualification in a related discipline. At least 3 years of experience in an e-commerce role with exposure to the operational element. Demonstrated working experience in an e-commerce operations role. Effective experience working with website platforms and ERPs. Expert knowledge of improving customer experience in an (Omni-channel) environment. Proficient experience in working with integrated systems and various digital channels. Ability to work as well as working as part of a team. Ability to think creatively and strategically to identify and resolve problems whilst displaying high levels of commercial acumen. Life Style Sports are Ireland’s leaders in sports performance and sports style footwear and apparel with a portfolio of 54 stores spread out over Ireland and growing.